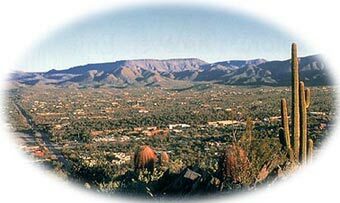 Cave Creek has a unique and colorful history, having been settled in the 1870s but not becoming incorporated as a municipality until 1986. The town, which roughly traces the northern fringes of Phoenix and Scottsdale, has a well-preserved pedigree as an Arizona historical landmark. Its reputation began to grow when the lure of gold, and later, copper drew a colorful cast of characters to Cave Creek: hardy frontiersmen, rough-and-tumble pan \'sluicers,\" career explorers and able-bodied adventurists all made their way to \"Cave Creek Station\" with the dream of striking it rich. The mines they staked claims to were given names as colorful as their founders: Mormon Girl, the Golden Star, the Blue Boy, the New Hope, and the Cave Creek Mistress were just a few of the makeshift quarries where men toiled tirelessly, seeking their fortunes. Today, the ruins of many of these long-abandoned mines offer visitors endless hours of exploration. Much of that history is still reflected in the theme of special events and the unique retail shops that dot the streets. Along its quaint main street, visitors can while away many happy hours rummaging through quirky old antique and curio parlors, touring the history-laden exhibits at the Cave Creek Museum, dining on authentic southwestern food in one of several cafes and restaurants, or simply taking in the splendid view in the shadow of Black Mountain, the town\'s most notable geologic landmark. The community\'s identity is preserved as well in its many art galleries, where striking examples of art by some of the genre\'s masters are on display. Art lovers will marvel at the timeless works of art, represented on canvas, in sculpture and in many other media. Although increased urban growth throughout the Valley has brought Cave Creek up to a first-class level, our residents are still down-to-earth folks who are civic-minded and active in the community. 6812 E Cave Creek Rd.